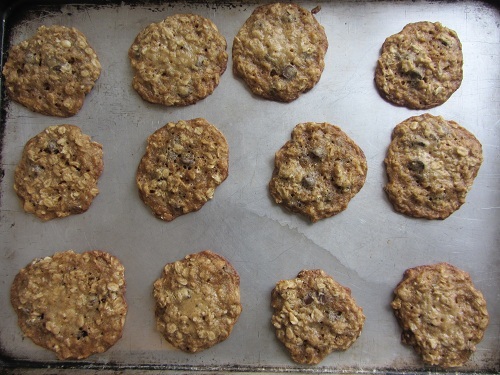 Quaker Oats Vanishing Oatmeal Cookies Recipe! 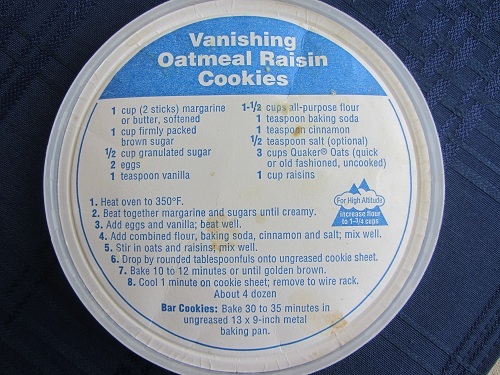 Quaker Oats Vanishing Oatmeal Cookies are the best that there is! This is the original recipe that used to be printed on the top of their container. 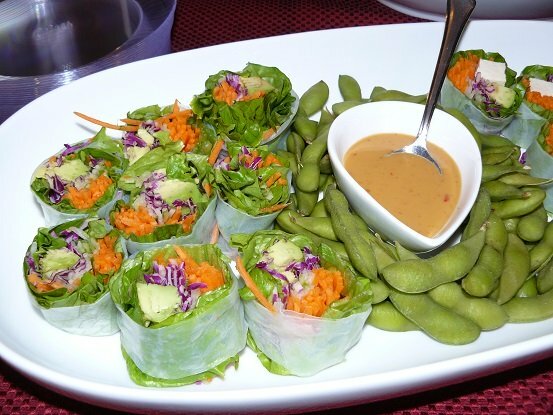 They are awesome and a recipe that I have used for years. 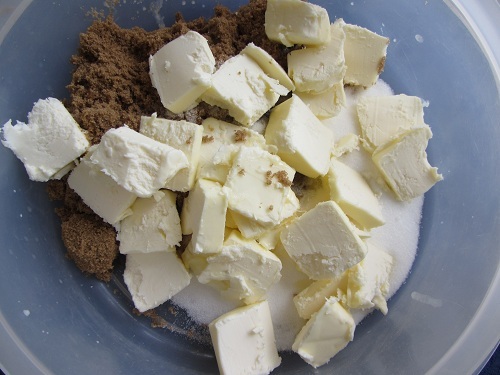 I did notice that on their website, they had reduced the butter by 2 tablespoons, and the brown sugar by 1/4 of a cup. This is normally a good thing, but I also noticed that their usual 5 star rating decreased to 4 stars! 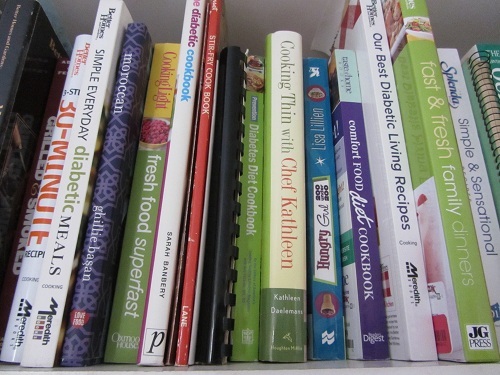 My recommendation would be to leave the recipe alone, and eat them in moderation, for special treats! I would always prefer a small amount of an amazing treat, than an average treat with a little less calorie bang. 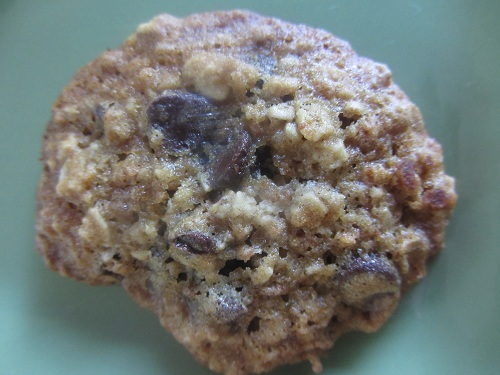 Speaking of calories, one recipe online advertised the calorie stats as 105 calories per cookie, and another advertised them as 242 calories per cookie. Quaker Oats was not telling that I could find! I highly doubt these cookies are only 105 calorie cookies! I wish they were! 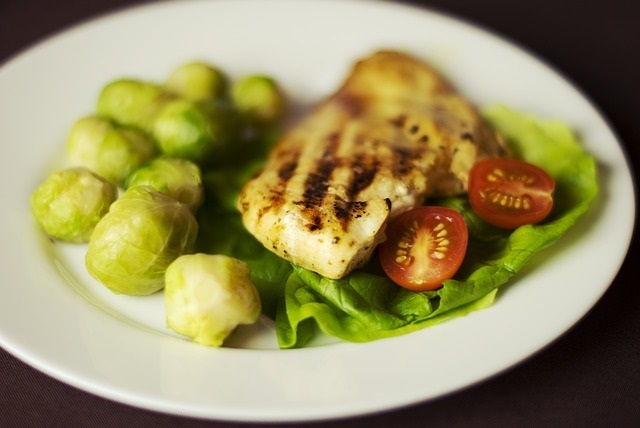 I would go with the 242 calorie amount in your menu planning! If you are looking for a low calorie treat, most cookies will not fit the bill, even though these cookies are healthier than most! 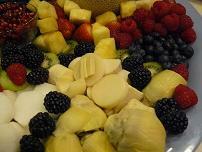 Stick with a healthy snack like a Greek yogurt and a bowl full of fresh fruit drizzled with honey or agave! 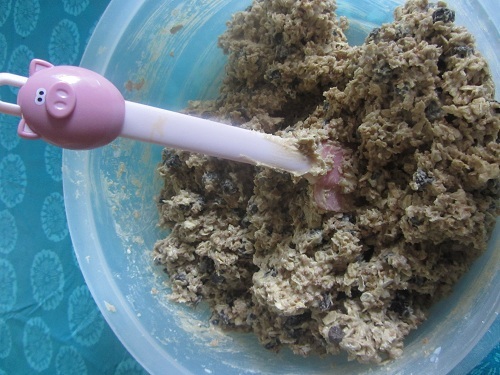 Drop by rounded tablespoons onto ungreased cookie sheet. Bake 10 to 12 minutes or until golden brown. *If you love crunchy cookies; bake them until golden brown, but if you like soft chewy ones; bake them until they are just almost set. They will harden up as they cool. They taste a bit different soft compared to crunchy. I usually bake half undercooked, and half crunchy like I like! *You can make bar cookies out of this recipe. 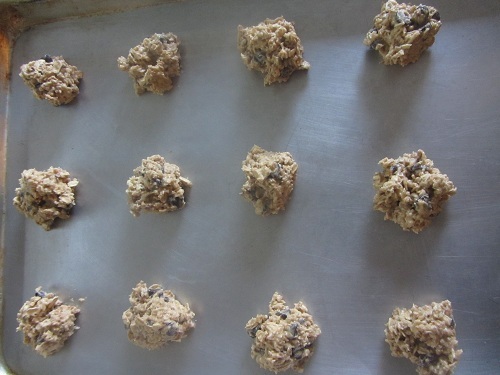 Simply place them in an ungreased 13 x 9-inch metal baking pan, and bake them for 30 to 35 minutes. *I always double this recipe and freeze half of them. 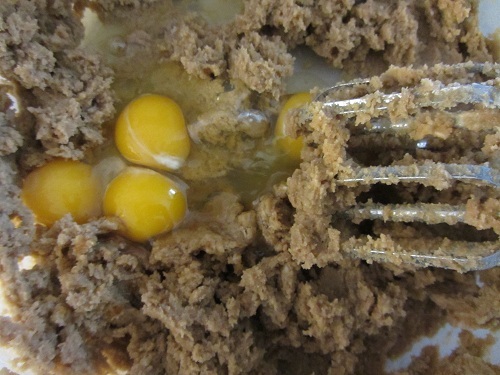 If you are going to the trouble of baking and making a mess, it’s nice to have a batch for later. 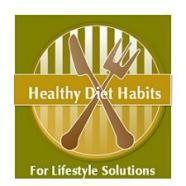 *I most often substitute chocolate chips for the raisins, and also often add nuts to the mix. *For Christmas, I usually double the recipe, and add an entire bag of white chocolate chips and dried cranberries. They are pretty! I must admit that I do not bake these cookies very often, because they can kind of speak to you, even when they are hiding in the freezer. I do bake them for events that I attend, and they are always popular. I have used whole wheat pastry flour with success too. 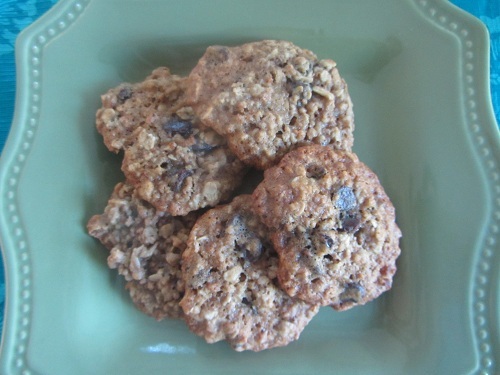 I do believe that they are the best tasting oatmeal cookies that you will come across!